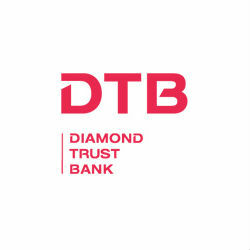 Diamond Trust Bank Tanzania is yet another Tanzanian bank with record high growth reported for the 2012 financial year. The bank saw a consecutive year of impressive performance with 2012 pre-tax profit rising by 18% to 12.1 billion TZS from 10.2 billion TZS in 2011. BTBT asset base rose up by 25% to 400 billion TZS from 322 billion TZS in 2011. Tanzania banking sector is the most competitive in East Africa with over 50 banks competiting to win over Tanzania’s unbanked population, which is a significant portion of the country’s bankable market. The banking sector has witnessed enormous growth as banks open up branches in various locations in Tanzania, offer new and innovative banking solutions and build a stronger client base through their diverse financial services for all banking needs. The country also experienced a revolutionary product; mobile internet banking, that has enhanced the Tanzanian market and created unexpected but strong business links between the Telecom and Banking sector in Tanzania.